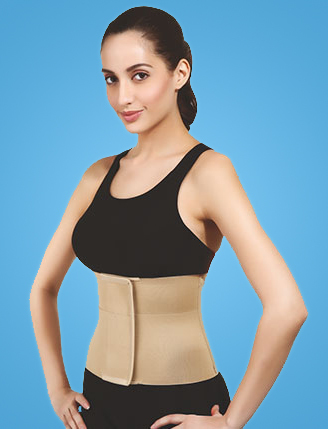 Wear abdominal belt which is made from premium fabric to relieve you from pain. Flamingo Abdominal Belt can be used after surgery or after delivery to provide perfect support to the abdominal region. This Belt can also be used as a back support or post-operative belt. The abdominal belt offers excellent elasticity and breathability which makes it widely appreciated by the users as it provides them freedom of movement. Abdomen is an area where some of the vital organs of a human body are situated; such as: small & large intestine, stomach and pancreas, kidney, spleen, gallbladder, and liver. Therefore this area requires great attention post-delivery or surgery to make it return to normal; the Abdominal Belt comes ready to aid at this stage.